What is National Refugee Shabbat? Why is JFS doing a Coat Drive? How many refugees has JFS resettled this year? As of August 31, JFS had resettled 196 people, with the majority from Ukraine (118) and Afghanistan (51). JFS had received only 60 percent of the 325 people we were contracted to resettle (October 1, 2017 – September 30, 2018). Reduced resettlement at JFS is consistent with the national slowdown in arrivals. The Presidential Determination sets the maximum number of refugees to be admitted into the country every fiscal year. The Federal FY2018 limit is set at 45,000 refugees. However, the U.S. will accept less than half that number of refugees by September 30, the end of the federal fiscal year. What does the resettlement picture look like for the coming year? On September 17, the Presidential Determination set the maximum number of refugees to be admitted to the U.S. at 30,000 for Federal FY2019 (October 1, 2018 – September 30, 2019). This is the lowest number since bi-partisan legislation established the refugee resettlement program in 1980. The average Presidential Determination through the history of the program is 96,229. Does JFS provide services beyond resettlement? Yes. When a refugee arrives, JFS has a federal resettlement contract, managed through HIAS, that stipulates specific services during the 90-day period following arrival. In addition to those arrival services, JFS provides a variety of services through the five years it takes for someone to be eligible for citizenship. JFS services focus on economic, social and civic integration for refugees, immigrants and asylees. Are there resources to learn more? New York Times reporting on the Presidential Determination. JFS CEO Will Berkovitz talks to KUOW about the historically low Presidential Determination. A special report from Reuters about the transformation of the U.S. refugee program. “This American Life” explores the current state of refugee resettlement and immigration. The latest update on Jewish Family Service v. Trump. Contact your U.S. representative and senators and encourage them to support a revised Presidential Determination of 75,000 refugees for Federal FY2019. Participate in National Refugee Shabbat with a local congregation or use these resources to organize your own National Refugee Shabbat event October 19 – 20. 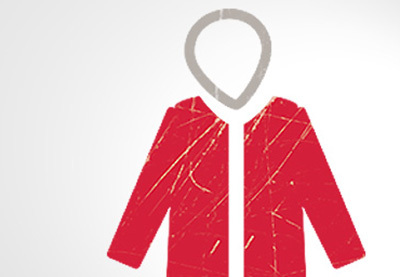 Donate new, waterproof or water-resistant coats to the JFS Coat Drive to show your support. Include a card or letter to let our newest neighbors know they are welcome. Write a brief family history that describes how your family came to the U.S. Share it across generations.